09:25 (4/4) Mayoi Neko Overrun! 25:25 (4/4) Kaichou wa Maid-sama! Continue Reading "Spring 2010 Schedule"
Nanao wants Kyouraku to come with her to deal with Toujuu, but he decides to send his Zanpakutou instead, and only the younger half at that. Continue Reading "Bleach – 264"
Kazehaya tells Sawako that she’s changed for the better and reassures her that it’s okay. Continue Reading "Kimi ni Todoke – 25 (END)"
Ascoeur finds herself surrounded by enemies, but luckily for her, when Shade tries to use his powers on her, Torch stops him. Continue Reading "KIDDY GiRL-AND – 24 (END)"
With time running out before the Jupiter fires again, Natsu has his hands full fighting Totomaru. Continue Reading "FAIRY TAIL – 24"
I know I said I dropped coverage of Tegami Bachi, but I couldn’t help but say some words about the final episode, the addition of Horie Yui to the series (yay, Hocchan! ), and the upcoming second season this fall. 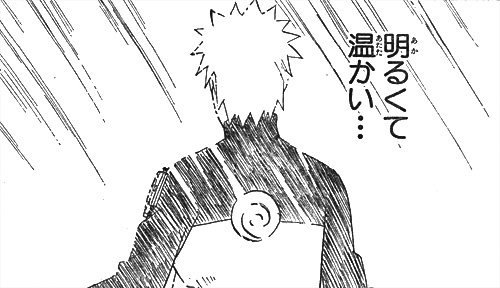 Continue Reading "Letter Bee – 25 (END)"
Continue Reading "Naruto 488 – Shines Brightly, But Leaves His Friends In The Dark"
With Omni announcing his retirement and the spring season well upon us, the thought of not having a season preview on Random Curiosity didn’t sit right with me, especially considering how so many people seem to look forward to it. As such, I’d like to present my version of the Spring 2010 Preview. While I can’t make any guarantees from a blogging standpoint, I felt the least I could do is give an overview of what’s coming up and what I’m personally looking forward to. I hope it lives up to expectations. As many of you may already be aware though, my tastes are a bit more diverse than Omni’s. I’ll often watch mediocre and even controversial series for the sake of variety or so that I can make an informed judgment at the end. However, I would only recommend such shows if you’ve seen something similar, enjoyed it to a certain degree, and know what you’re getting yourself into. That said, I still have my usual genres, so it’s usually not too difficult for me to decide what to watch based on premise, art style, production, and cast (a big one for me) after going through some promotional material. For the purpose of this preview, I’ll try to identify the reasons why I’m planning to watch a given series more clearly, in hopes that they’ll help you determine if it coincides with your own tastes. As usual, by no means does this list reflect every single anime series that is going to be aired, though it’s meant to be as comprehensive as possible. OVAs, one-off specials, and movies are omitted, so check out MOON PHASE for an entire listing, syoboi’s calendar for specific air times, and Fansub Wiki’s page for who’s tentatively subbing what. 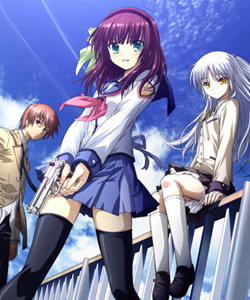 One of the series I’m really looking forward to and can safely recommend to all audiences is Angel Beats. For some, it might be enough if I just say, “Key and P.A. Works.” For everyone else, this means the visual novel company that brought us AIR, CLANNAD, and Kanon, and the studio that produced true tears and CANAAN. Maeda Jun from Key is writing the script and screenplay, depicting an afterworld where one girl forms a war front, the Shinda Sekai Sensen (SSS), in defiance to god for giving her an unreasonable and short life. In this supernatural afterlife setting, we follow male protagonist Otonashi, who has no memories of when he was alive and gets dragged into the SSS’s struggles. Guns and superpowers are involved, but so is a seemingly normal school life at the same time. Original character designs are by Na-Ga, Hirata Katsuzo (Strike Witches) is overseeing the animation, and Lia is doing the opening song like in all Key series. Kamiya Hiroshi (Araragi in Bakemonogatari) takes on the lead role, which is another big plus. There are lots of good promo videos showcasing how great this series looks, including one detailing how they did a concert scene (PV #7), so be sure to check them out. Everything looks great on paper and the premise is a bit unusual, so I can’t wait to see how this one plays out. Odds I’ll Watch This: Guaranteed, period. It was only at the end of last year that K-ON season two was announced, but three months later we already have more of our favorite light music club. Now with one more exclamation mark in the title! The extra DVD/BD live house episode helped tide things over a bit, but it’s not quite the same as a full season where we’re bound to hear a bunch of new songs. 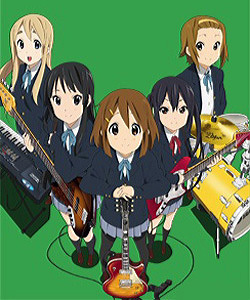 For those unfamiliar with this series, it’s Kyoto Animation‘s adaptation of a lighthearted 4-koma manga that follows a group of girls who revive their high school’s music club by forming a band called “After School Tea Time”. It’s published in a seinen manga magazine and features quirky humor and a very cute cast of female characters. In short, it’s moe overload. When the original season aired last spring, the cast of seiyuus were all relatively low-profile, but that all changed with this series. The opening and ending theme songs they sang debuted at #4 and #2 on the Oricon music charts respectively, and they’ve all been in numerous series now, especially lead actress Toyosaki Aki. There are 28 broadcast stations lined up to air this highly anticipated sequel, which absolutely dwarfs every other series by a long shot. There’s no doubt in my mind that I’ll be watching this and it’s a safe series to recommend to almost anyone. Go watch the first season now if you haven’t! Odds I’ll Watch This: Guaranteed, without a doubt. Note: This is a rather long and fairly comprehensive list of spring shows. Much much more after the jump, including a full schedule and a bunch of promo videos. Continue Reading "Spring 2010 Preview!" Mustang’s group is saved by back-up hiding in the rafters, but this entire situation shocks King Bradley’s wife because she realizes that she might have been abandoned by her husband. Continue Reading "Fullmetal Alchemist: Brotherhood – 50"
As a space battle begins between the G-Society and the GTO forces, over inside the Erde Meteor, Geacht’er takes possession of Ascoeur and freezes Q-feuille. Continue Reading "KIDDY GiRL-AND – 22, 23"
After having a dream where she’s being pulled on by a glowing child-like figure, Yin wakes up to Hei watching over her, and he promises to protect her. Continue Reading "Darker than BLACK – Gaiden 02"
Celty saves Mikado from being stabbed, but this doesn’t stop Seiji who wants the girl he knows as Celty back. Continue Reading "Durarara!! – 12"
I probably should have used this title last week when Aizen was giving everyone vibes that he was going to use the classic Star Wars phrase on Ichigo, but it’s even more appropriate this week now that Isshin has finally shown up. That cliffhanger was of course the best part of this chapter since the rest of it was just Aizen continuing to mindfuck Ichigo (Kubo appears to be using this chance to try to tie everything in the plot together), and it got me really curious about what direction the story is going in because there’s so many possibilities. Actually, it could still be possible that Aizen declares himself to be Ichigo’s real father since he’s claiming to have known about Ichigo since Ichigo was born – in that case, I guess Isshin would be the adoptive father? It’s either that or Aizen has past dealings or a connection with Isshin that we don’t know about. Whatever the case may be, it looks like we’ll be finding out more about Isshin’s past soon, and it would be exciting to see him fight as well. Continue Reading "Bleach 397 – I Am Your Father"
Sawako and Kazehaya don’t talk or even look at each other at first, but when she slips in the snow, he catches her. Continue Reading "Kimi ni Todoke – 24"
Ever since the nursery closed, Kobato has been sticking to Kiyokazu and trying to help him with whatever he needs. Continue Reading "Kobato – 23, 24 (END)"